The next-generation 2015 Phenom 300 Jet is our most recent addition to the exclusive NICHOLAS AIR fleet. Upon return from the Embraer factory in Brazil we celebrated its arrival home in the U.S. with a phenomenal photo shoot in Miami, FL. We partnered with the well-known and very talented aerial photographer, Paul Bowen, for this unique opportunity. 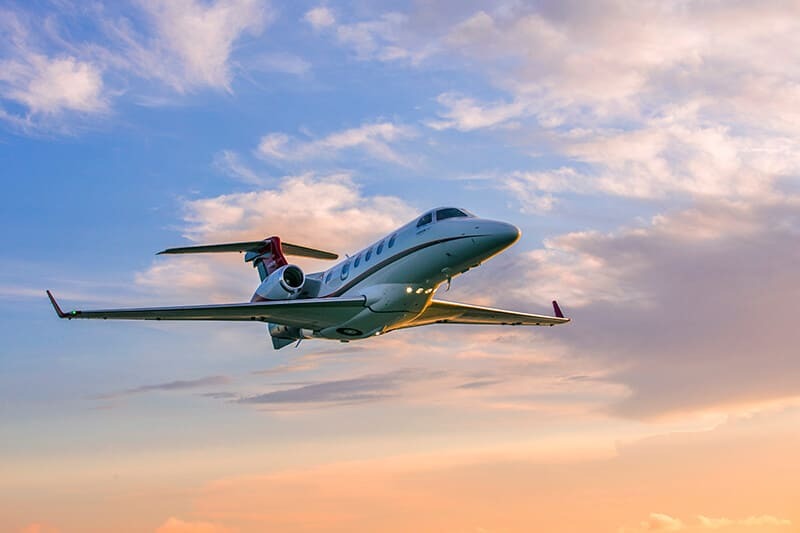 The images are stunning and showcase our new Phenom 300 along with amazing backgrounds from downtown Miami to South Beach, the Port of Miami, the islands in Biscayne Bay and the surrounding area. To explore the Phenom 300 for yourself, browse our new interactive cabin tour found at: Nicholas Air Phenom 300 Virtual Tour.